Back on market financing fell through the day before closing. This home is huge! 4 bedrooms, 2 full baths, extra-large eat-in kitchen, master on main floor, formal living room that is carpeted with hardwood under the carpet, formal dining room, master has carpet over hardwood, very large family room with fireplace. Very open floor plan. Two more bedrooms are on second floor and the basement is nicely finished as well. Add to this a 2.5 car garage attached with a full work room above it and to the rear of it, wrap it up in full brick, and you have one heck of a great home for you to live in. This one has not been on the market since 1987 and has many updates to it. Come see it for yourself. Direction: Kings Highway. Left on Radiance, Right on Herb Lane, Right on Wedgewood. Wedgewood Manor is a subdivision within the city of Louisville, Kentucky. There are currently 1 Homes for Sale within Wedgewood Manor, with asking prices ranging from $209,900 to $209,900. The average list price per square foot of the available inventory in Wedgewood Manor is $150, which is below the Louisville average of $155. The Average Sales price of all sold real estate in this subdivision for the past year is $154,500. Recent comparable homes have been selling for 100.71% of their asking price. Waterfront homes represent 0.00% of the available Wedgewood Manor inventory. The population of Louisville, according to the 2010 Census, is 597,337. The total number of households in the zip code of Wedgewood Manor is 14,512, with an average household size for of 2.23 people. The total number of renter households within the zip code of 40220 is 5,216, which means that 64.06% of households in this zipcode are owner occupant households. 3030 Wedgewood Way, Louisville KY 40220 is a Home, with 4 bedrooms which is recently sold, it has 2,942 sqft, 0 sized lot, and 2 1/2 Car Garage parking. A comparable Home, has 3 bedrooms and 2.5 baths, it was built in and is located at 3046 Nadina Dr Louisville KY 40220 and for sale by its owner at $ 209,900. 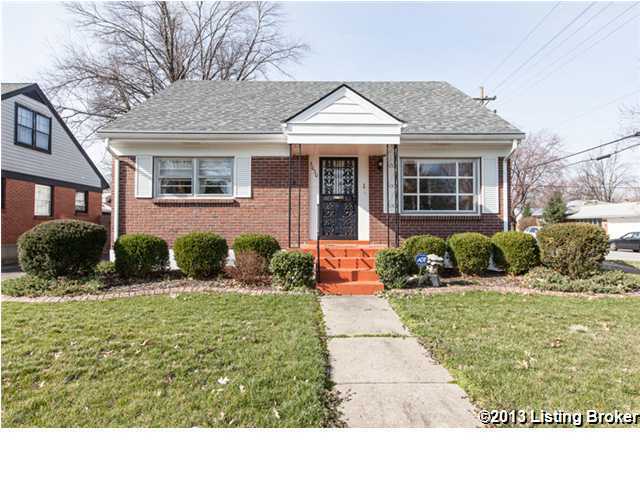 This home is located in the city of Louisville , in zip code 40220, this Jefferson County Home, it is in the WEDGEWOOD MANOR Subdivision, and Stony Brook Woods are nearby neighborhoods.